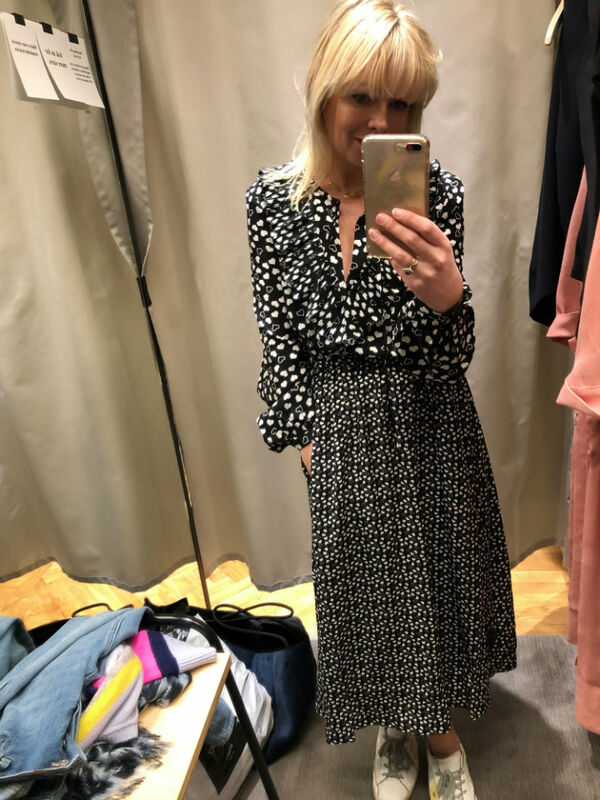 The Fashion Lift: Shopping with Fran - My edit of my Fave items on the High Street and what size to order? 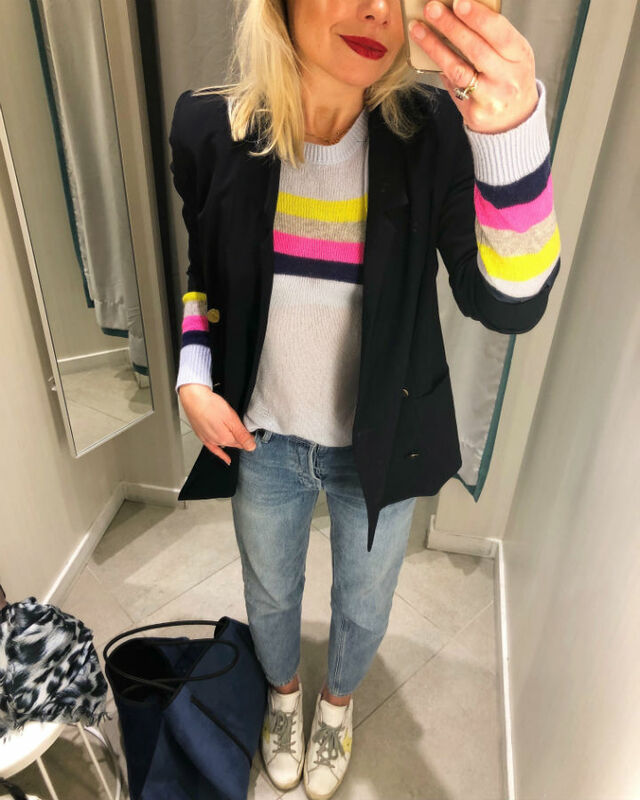 Shopping with Fran - My edit of my Fave items on the High Street and what size to order? I haven't been into Zara for a while, I was beginning to feel like there was too much stock and I couldn't see the wood for the trees but this season there seems to be some clarity back, the stores look clearer and less cluttered and there are some gorgeous key, statement, trend pieces alongside some great basic blouses and shoes.. 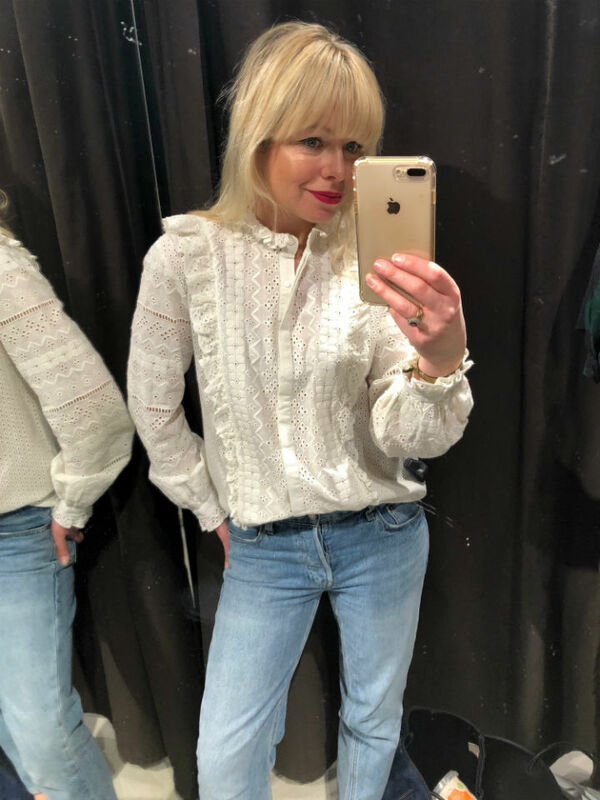 I am such a sucker for a white broderie blouse, this is a beautiful one with intricate embroidery and looks great tucked into jeans. I love it with dark red boots now and in the summer with flat strappy sandals and pale blue ankle length jeans. 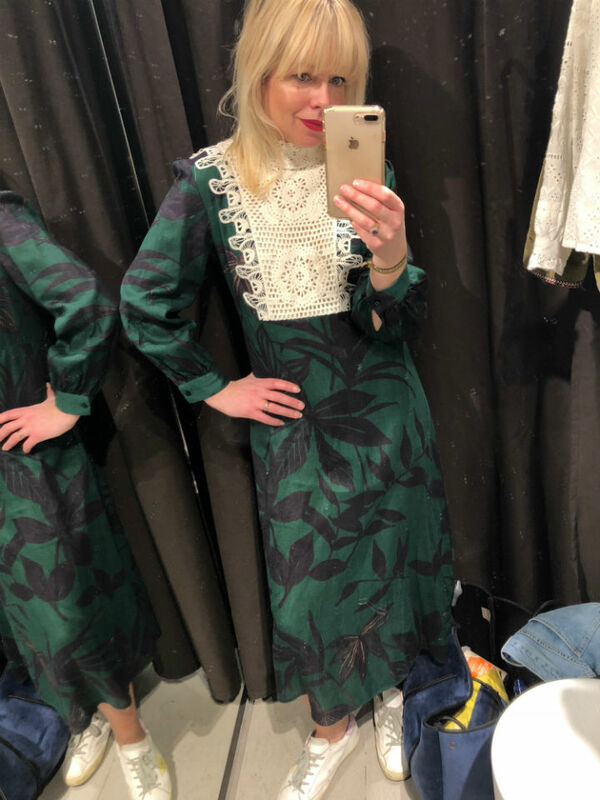 I am wearing the size medium, I sized up a little mainly because I find Zara cotton shrinks a little after washes so it is better to buy on the big side rather than smaller. I love this top, I thought it was quite Minnie Mouse at first but it actually looks fab on. 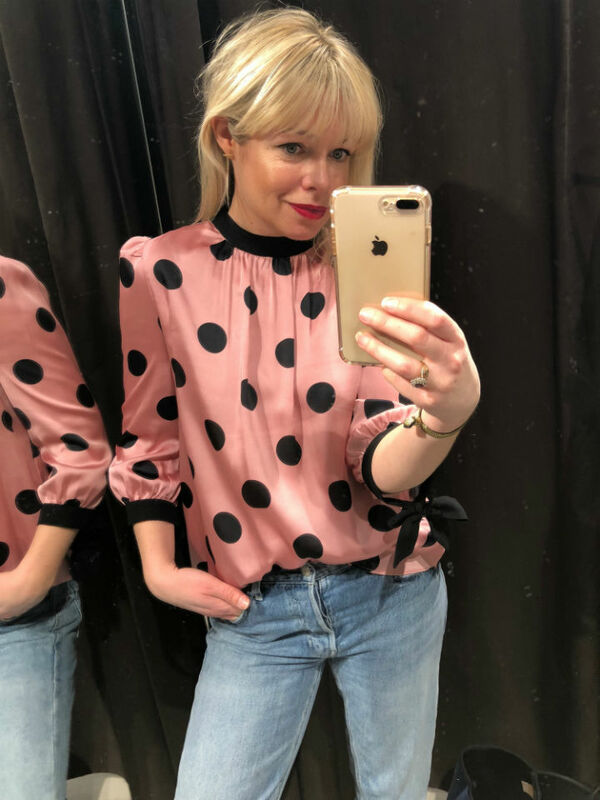 The puff sleeve detail and the bows on the sleeve are lovely, I bought the size small, (I do tend to normally wear medium in Zara) It looks just as good with trainers as with heels. This is possibly one of the most comfortable jumpsuits I have worn for ages. It is super long so I would have to take up the legs by about a foot! 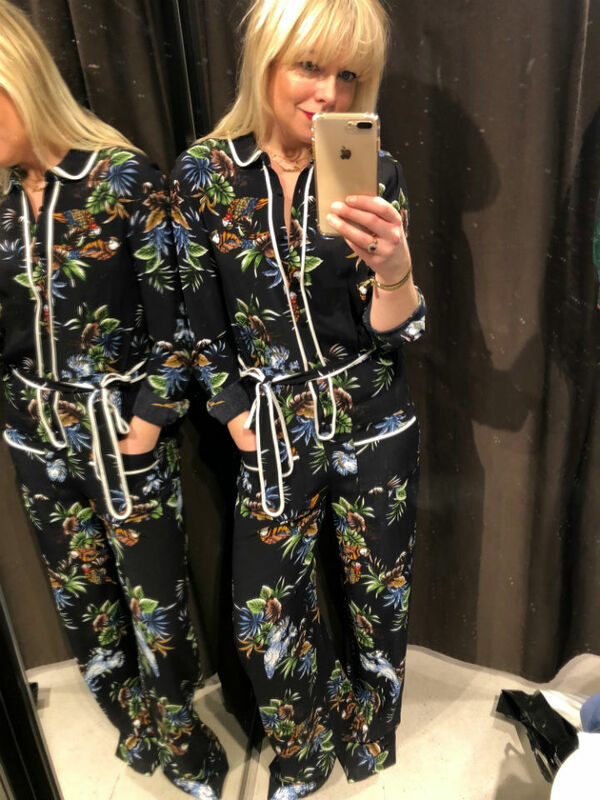 It is the perfect jumpsuit to wear to dinner/ drinks out, it would look good with super high heels (I think a pointed shoe or boot always looks good under a wide leg trouser) I am wearing a size small I would say it is true to size. Love love this dress, it is linen and perfect for the Spring or an early summer holiday. It feels so light on and would look great with tan sandals in the summer, this is a size small I would say it is true to size. 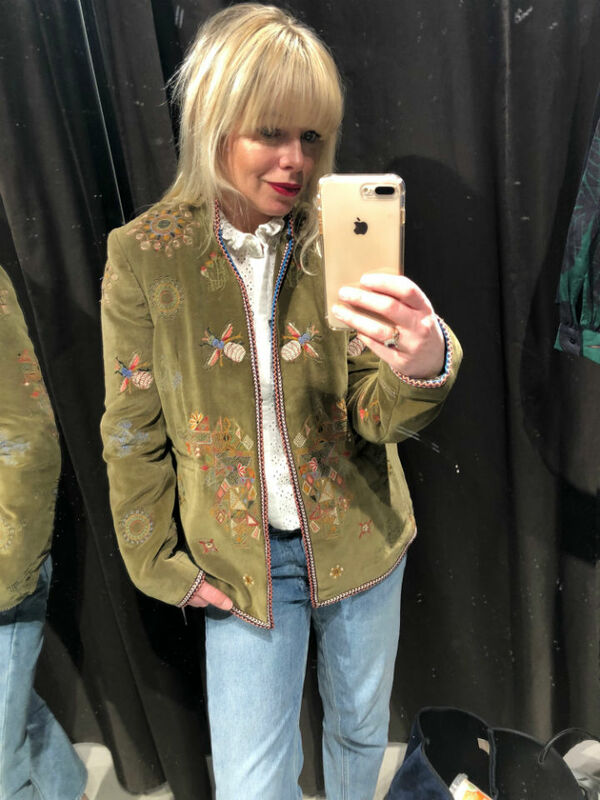 I love popping into (good) H&Ms - the bigger stores always have the best choice and newest collections. It is great for adding a pop of colour to your wardrobe, or for a reasonably priced dress for a smart occasion.. 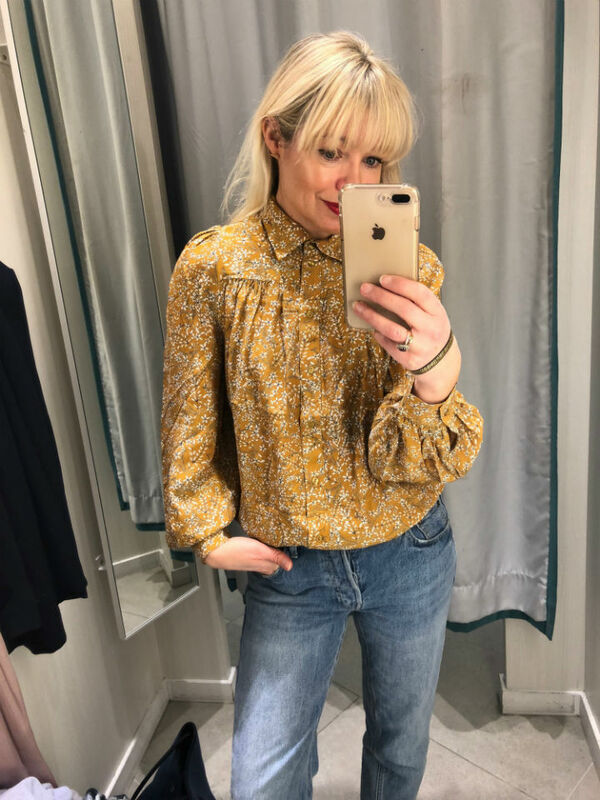 This mustard colour is fab, it looks quite retro, the print is liberty-esque. The fabric feels great on, I love the voluminous sleeves and puff details. Size down on this one it comes up a little big I am wearing a size 8. This will look great with everything from dungarees to black smart trousers for work, a useful piece in any wardrobe. The print of this dress really caught my eye, you can't really see in this photo but the pink is vibrant and eyecatching. It is a tube dress, incredibly comfortable to wear, I would pair with heeled black/tan boots now and in the summer with my favourite flat, tan, strappy sandals. This is an 8 it comes up a little big. 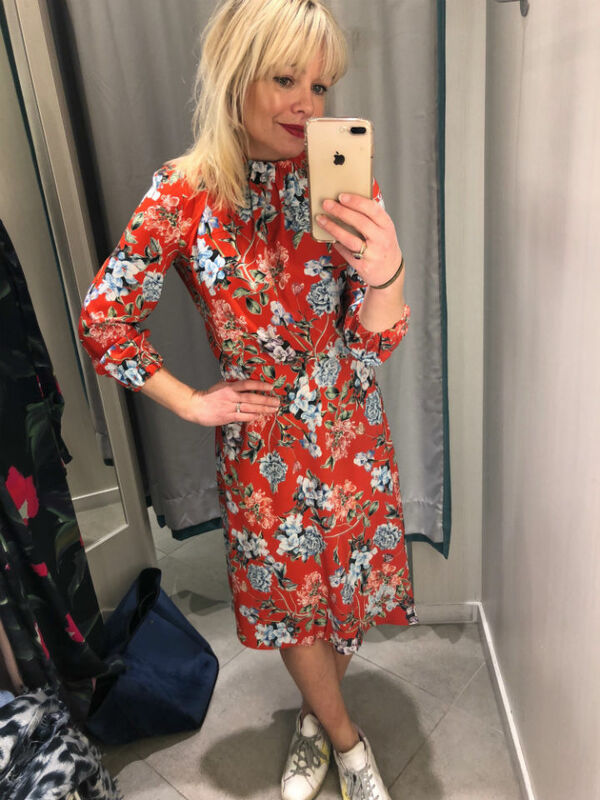 This dress is amazing on, the elasticated neck and waist is surprisingly flattering, the top puffs out a little at waist and creates a really flattering silhouette. This is a size 8 so it does come up a little big. 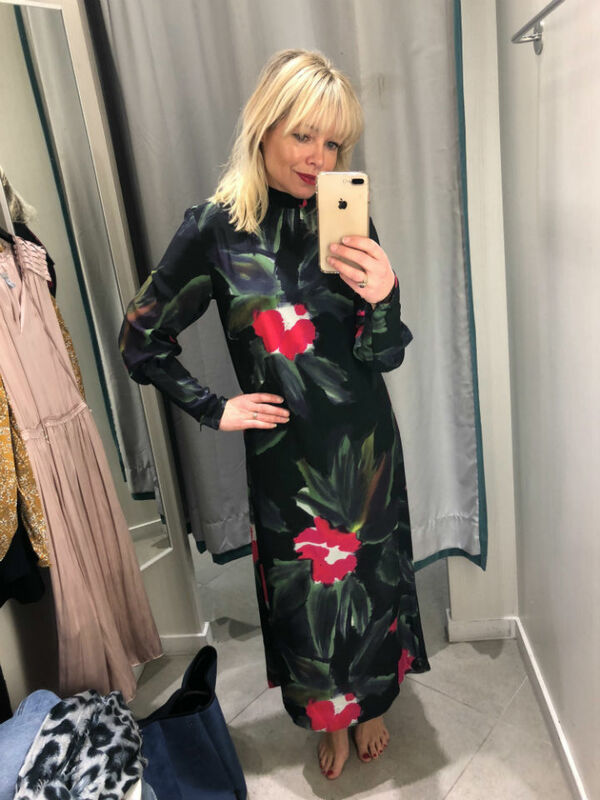 This is the perfect dress to take you from winter to summer, wear now with black ankle boots or knee high tan boots and in the summer with flat, black strappy sandals ot strappy heels. I sized down to size 34. 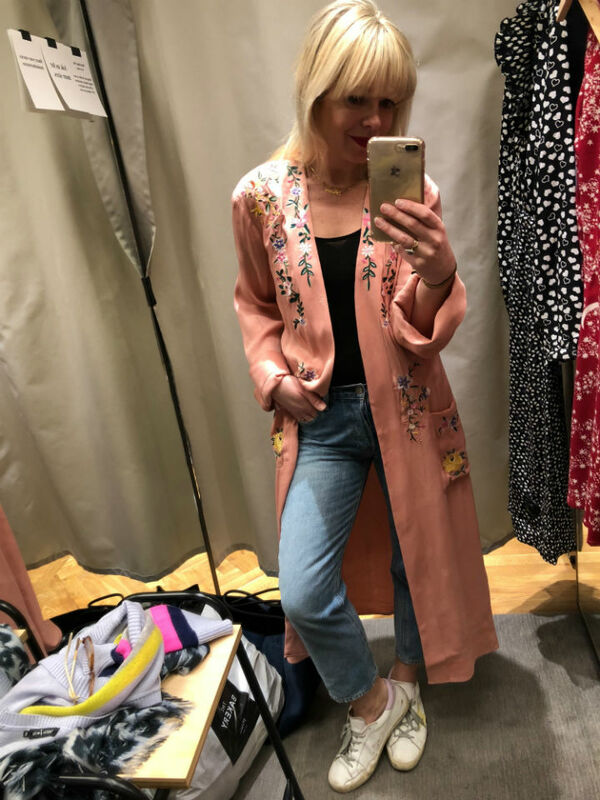 A quick round up of my favourite items on the high street this week, it is starting to feel like the high street is 'springing' to life, so many lovely things flooding into the shops, I will be back next week with more #shoppingwithFran - for the videos follow me on Instagram here and check out Instastories.